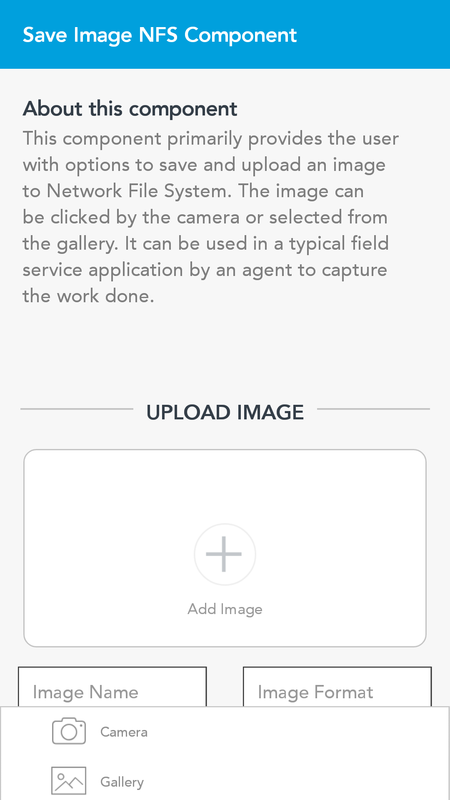 This component can save/capture image using the camera and store or return it as required. The storage takes place on NFS. 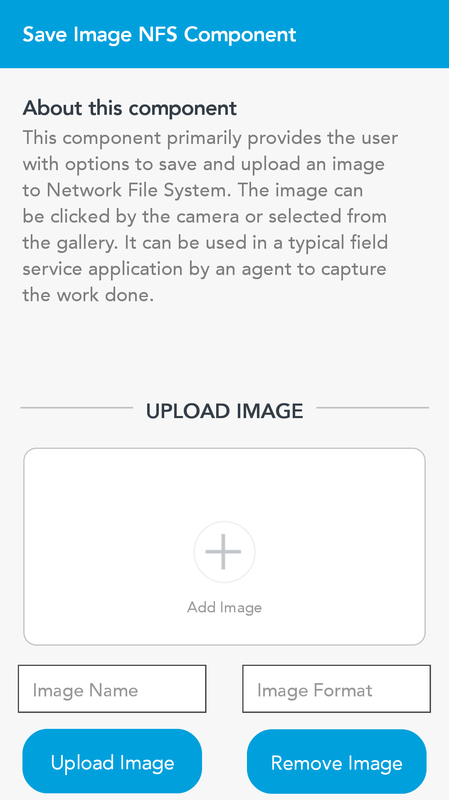 A typical use-case for this component is seen in field service and inspection type applications where capturing the work done by clicking an image is an important part of the field visits/inspections. 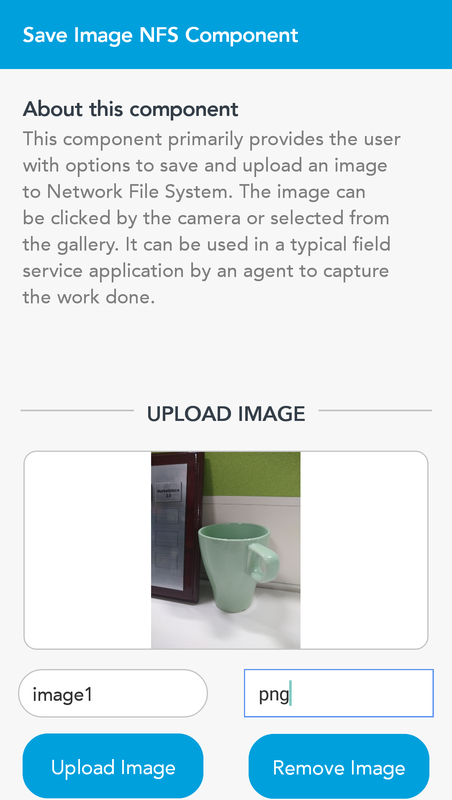 This component can save/capture image using the camera and store or return it as required.